"Hello Oval Building, Tony speaking. Yes I can put you through. Can I ask who is calling please? Our new Scourge masters? Okay, and what is this in reference to? The imminent destruction of our race and the occupation of the Oval Building as a new Scourge headquarters? Hmm... that sounds like you'll want to speak to Linda in Real Estate. Putting you through now!" The Oval Building is a piece of MDF trickery. Made using flat pieces of wood, you'll never know the man-hours put in to turn this otherwise simple material into the ergonomic perfection of ovality (that's a word). 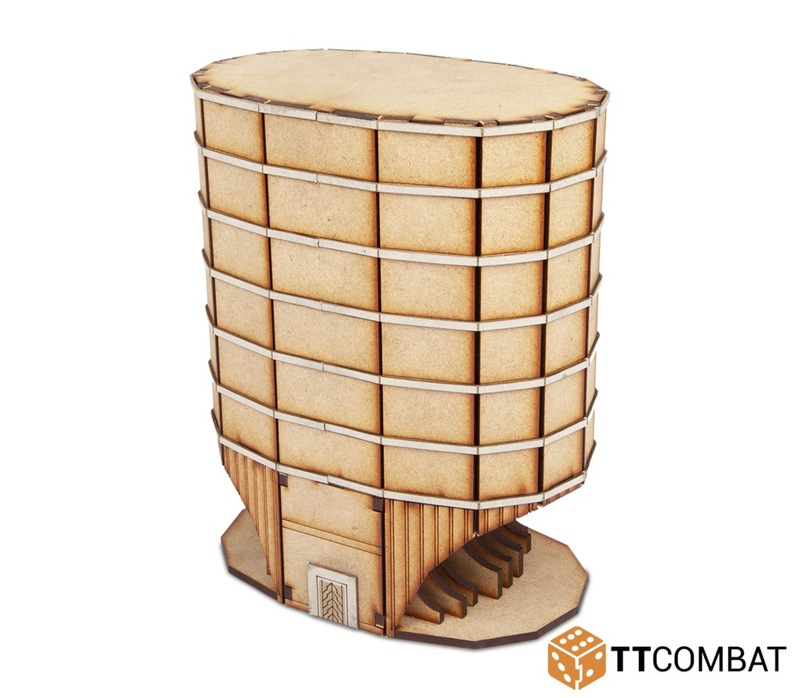 At approximately 18cm tall, it is perfect for 10mm scale gaming. Made from 3mm MDF and 1mm greyboard, the kit is designed for games of Dropzone Commander, but will work perfectly with any similar scale games. Model supplied unpainted and requires assembly. We advise using PVA glue for the best results.